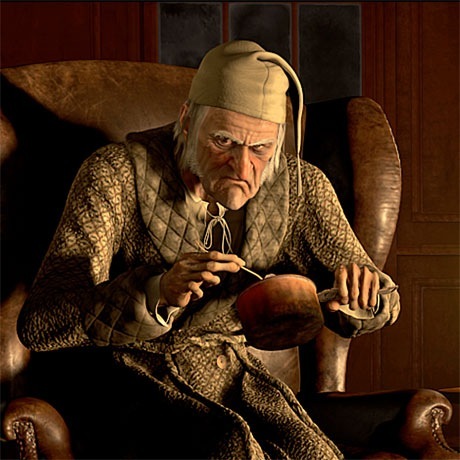 Why do we celebrate scrooge in the name of capitalism? A brilliant article in The Guardian caught my attention today. The article focused on how “the 1%” – the wealthiest individuals – destroy, rather than create wealth. The recent Wall Street protests that have sprung up all over North America have a common theme: the obscenely wealthy are doing harm to the country. These wealthy individuals claim to be job creators but a variety of studies have proven otherwise. These studies, referenced throughout the article, were performed to evaluate the effectiveness of top-paid executives. It turns out that most of the wealthiest individuals are not a product of their own brilliance but rather “accidents of birth” and opportunities made available because of their class and/or their ancestor’s success. There are exceptions to the rule, of course – with stories of successful entrepreneurs that grew up in poverty and overcame adversity to establish a global empire –but they are few and far between. The reality is that the extreme elite are hoarders of wealth. Rather than injecting the money back into the economy by providing jobs and innovation, many instead choose to sit on their wealth and carry it from generation to generation. Yes, many individuals contribute back by developing large businesses that employ many people. Many such businesses were not created by these elite – instead, they simply stand tall at the company mast and collect massive paychecks for their “vision”. Conservatives fight these accusations by screaming “communism!” to drown out the pleas of injustice at a system built on an insurmountable level of greed. Yes, capitalism works but it should not mean that millions suffer while others accumulate such wealth that they could not possibly spend in a million years. The wealthiest individuals are not all bad. Recently a number of the richest individuals have given back greatly. Legendary billionaires such as Warren Buffet and Bill Gates have come to their senses and rid themselves of their greed. How quickly might problems be averted if billionaires were to give back to support the systems that have supported them all along? Things like infrastructure, land, freedom etc. The 99% support the 1% in more ways than they realize, and I believe it’s time they gave back to help us all. If you agree, please share this post. If you don’t, let’s hear it in the comments below (but you will be required to put down your silver spoon to type). Previous postIs Sales Dead? Is Marketing the New Sales? Great video! I completely agree that it is the size of the gap that matters which is why the top 1% need to contribute their wealth back into the economy. When you have a bunch of people with billions and many millions that have next to nothing it causes an amazing number of problems. Japan seems to have nailed it.